John Delabere sold the land upon which Suffolk Parade was later created to Henry Thompson, the developer of Montpellier, in 1807. The street was laid out in the next few years and in 1818 the site of modern house numbers 28-31 was leased to Mr Aaron Wills Gay, a carpenter and joiner. Then in 1822, following the death of Henry Thompson, his sons sold this land, with a frontage of 60 feet and a depth of 92 feet, to Mr Gay. It is probable that he developed the 4 properties on the site and leased them out, having acquired a further plot at the rear of the premises in 1826. Suffolk Parade was unnamed at that time and is referred to in title deeds as a "private road". From 1850 this property was tenanted by Mr J. Healing and then Mr H.Winning; both were bakers and confectioners. 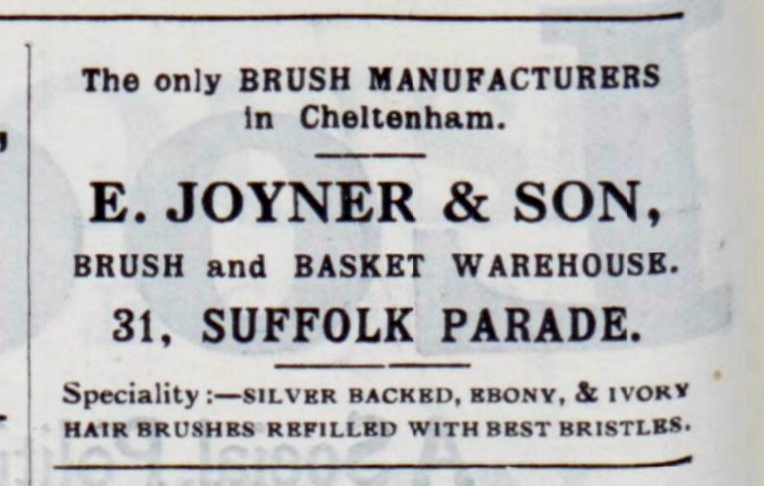 However in 1856 brothers William and Edwin Joyner located their brush-making and retailing business here and thus the shop remained for about the next 100 years. 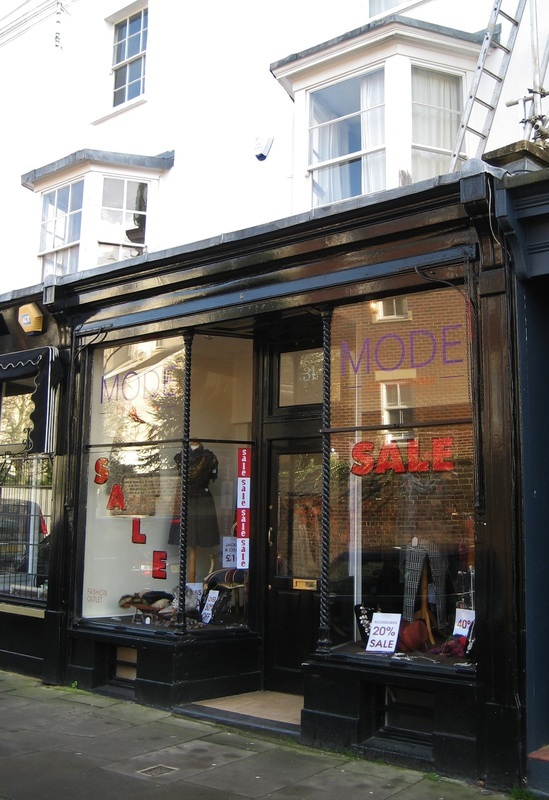 The business was so successful that from 1863 onwards Edwin Joyner contracted to buy these premises from John Lapidge for £350, in installments. Mr Lapidge died in 1872 and in the following year his executor Frederick Gastrell sold the balance of the property to Mr Joyner, who had to raise a mortgage for £250 from The Cheltenham and Gloucestershire Permanent Mutual Benefit Building Society. 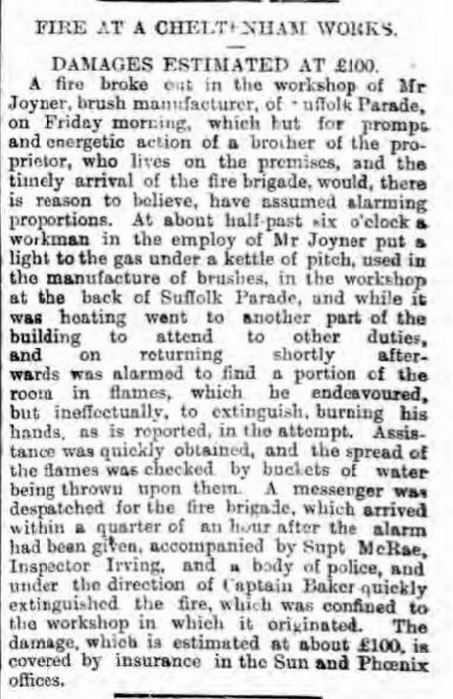 William Joyner died on 4th March 1886 but the company continued to carry both brother's names until 1892, when it became E.& H. Joyner. Edwin died on 11th January 1899 and the company name changed again about 10 years later to Edwin Joyner & Son, the son being Sydney Herbert Joyner. 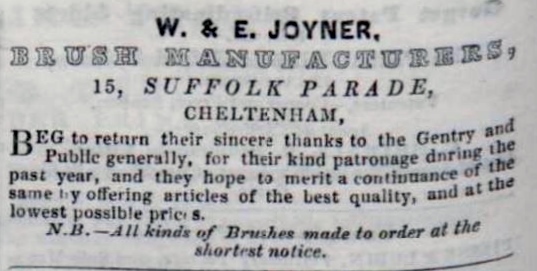 In 1926 Joyners advertised that they were the only brush makers in Cheltenham and that all kinds of brushes could be made to order at the shortest notice. 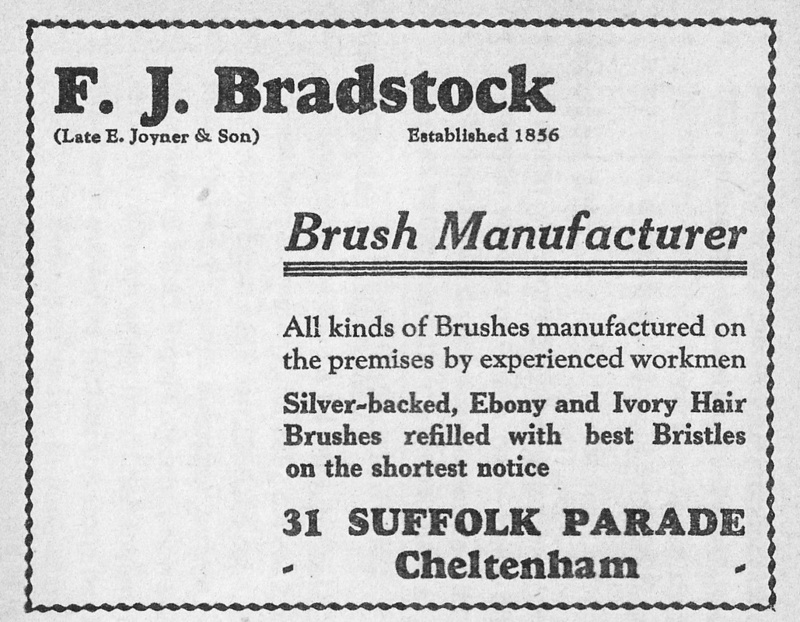 In 1937 the business passed to the next generation but they had no interest in running it themselves, so just before World War II the Joyners sold the business to a tenant, Frederick Bradstock, who continued to make brushes here until about 1953. He was succeeded by his wife Mrs Ivy Florence Bradstock. The property had been sold in 1950 for £740, to the electrician next door, William Edwin Robb but Mrs Bradstock bought it from him in 1954. At that time she was considering letting the shop as a greengrocer's. Mrs Bradstock continued to live on the premises but the trade had changed by 1957 to a fruiterers run by Mrs H.K. Bowd. 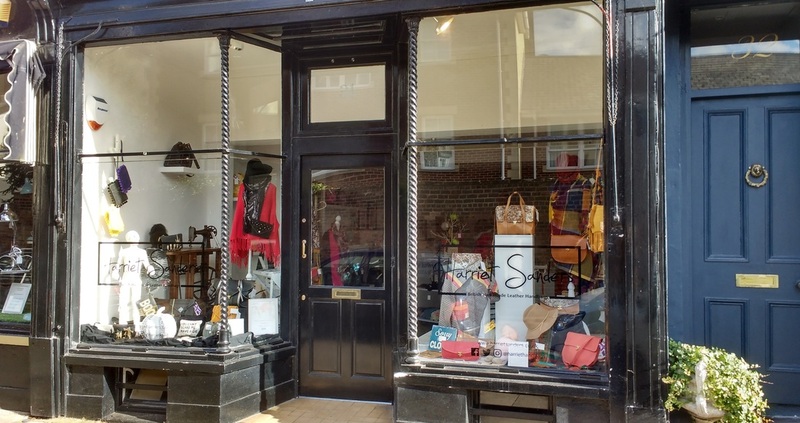 Mrs Bradstock was still in residence in 1970, by when the shop had changed again to V.R. & L.M. Robbins, Wool Store. By 1975 this had changed once more to Cameo Antiques and Mrs Bradstock was no longer living here.